“Our solutions for the market drivers of System connection, Life-cycle efficiency, Availability and Transport capacity, and Ecodesign were shown to add genuine value and met the requirements of vehicle manufacturers and rail operators around the world in full,” sums up Dr. Jürgen Wilder, Member of the Executive Board of Knorr-Bremse AG responsible for the Rail Vehicle Systems division. Through its high level of systems expertise and broad product portfolio, Knorr-Bremse gives its customers the flexibility they need to develop advanced and connected rail vehicles. One highlight at InnoTrans 2018, for example, was the modular CCB-3 locomotive brake control system that was developed with all of the world’s most important rail transportation standards in mind. For vehicle manufacturers who aim to sell their locomotives in different markets, this leads to a reduction in cost and effort of redesigning their vehicles for specific markets. Another focus of Knorr-Bremse Rail Vehicle Systems’ presence at the InnoTrans fair was on cutting the life-cycle costs of a vehicle or, in other words, boosting its life-cycle efficiency. With modular and high quality products and systems such as the EP2002 3.0 brake control system, optimized maintenance costs and obsolescence management solutions, Knorr-Bremse boosts vehicle availability and operational efficiency. 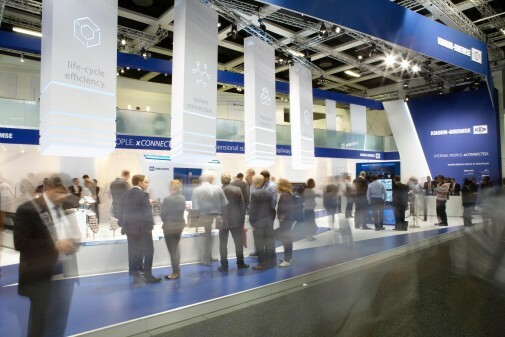 The third focal point for Knorr-Bremse Rail Vehicle Systems at the InnoTrans fair was on products and systems that help reduce CO2 and noise emissions. In this context, Knorr-Bremse Group company Kiepe Electric showcased its pioneering IMC (In Motion Charging) concept for trolley bus operation. On sections of the route without overhead lines, buses with IMC run like battery operated vehicles, with the batteries being charged on sections with overhead lines. The presence of Knorr-Bremse Rail Vehicle Systems at this year’s InnoTrans was a complete success and greatly enhanced the company’s dialogue with its international customers. 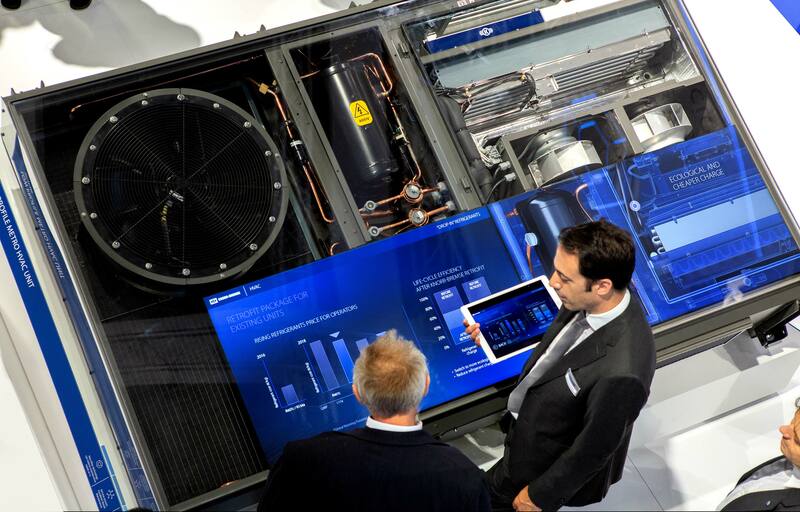 As a result, Knorr-Bremse is able to announce a number of new business deals and memoranda of understanding, as well as a groundbreaking pilot project, all concluded at the fair. Knorr-Bremse RailServices has concluded a long-term maintenance agreement with Siemens Mobility, covering multiple countries. The aftermarket specialists will carry out the braking system maintenance of all the Desiro and Velaro fleets that Siemens is responsible for maintaining in the UK and Russia, as well as its current locomotive fleets in Europe. A memorandum of understanding has also been signed governing the incorporation of apps from Knorr-Bremse’s iCOM digital platform for the railway industry into the Siemens Mobility Services application suite, Railigent. The combination of Knorr-Bremse’s comprehensive component know-how and Siemens’ top-class maintenance and AI expertise can help customers to increase the availability of their fleets. A memorandum of understanding has also been signed with Perpetuum regarding the iCOM platform and its iCOM Monitor app. RailServices hopes to combine Perpetuum’s system for recording and monitoring vibrations of wheels, gearboxes, motors and wheel bearings with iCOM Monitor. This systems connection initiative will provide an enhanced insight into vehicle condition, enabling longer maintenance cycles and improved availability and thus reducing vehicle life-cycle costs and increasing transportation capacities. Knorr-Bremse also invited Düsseldorf-based operator Rheinbahn to present its implementation of the app in light rail vehicles. Online transmission of condition data from in-service LRVs has significantly improved the organization of workshop operations, reduced vehicle downtime and cut operating costs. Kiepe Electric has signed an agreement with Deutsche Bahn to pilot an innovative air-conditioning unit. Instead of a refrigerant based on environmentally harmful CFCs, its ecodesign employs natural and significantly more eco-friendly CO2. The difference is striking: the Global Warming Potential (GWP) of CFCs is between one and two thousand times that of CO2 (GWP 1). During InnoTrans, Knorr-Bremse also received news of a significant breakthrough with the Federal Railway Authority (EBA). On September 20, the EBA issued Knorr-Bremse Rail Vehicle Systems with its first ever “authorization for placing in service” (Inbetriebnahmegenehmigung – IBG). The authorization relates to a modernization project involving the new ESRA 3.0 brake control system. Knorr-Bremse RailServices fitted the new system in an existing Desiro Classic VT642 vehicle, helping to extend its service life and thus reduce its life-cycle costs. As well as carrying out the actual modernization of the braking system, for the first time ever the package also involved RailServices assuming full responsibility for the required additional vehicle approval procedure. “Obtaining the IBG means that Knorr-Bremse can now offer the complete package, including vehicle approval, to other Desiro Classic VT642 operators,” explains Mark Cleobury, Member of the Management Board at Knorr-Bremse Rail Vehicle Systems.